DAVID LE/Staff photo. 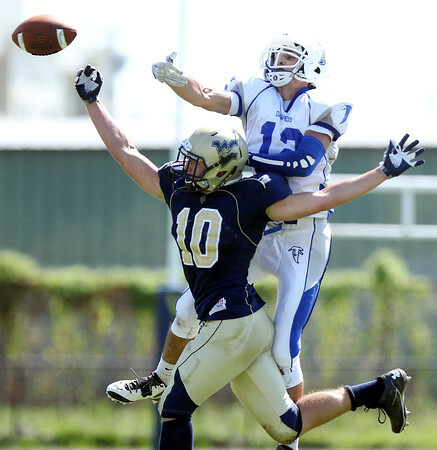 Danvers senior captain Mike Nestor (12) elevates over Winthrop junior tight end Joe Trenouth (10) and knocks away an intended pass. 9/12/15.